You’re ready to be in control of how you spend your time. You’re ready to be truly present and stop rushing. You’re ready to stop stressing about money once and for all. Wake up on Christmas morning knowing that your credit card balance is ZERO? Give generously this season with the extra income from your writing career? To wake up each morning EXCITED to get to work? This 3-module video course gives you all the tools to plan your ideal work-at-home career. We cover business models, finances, how to set up your schedule, and so much more. 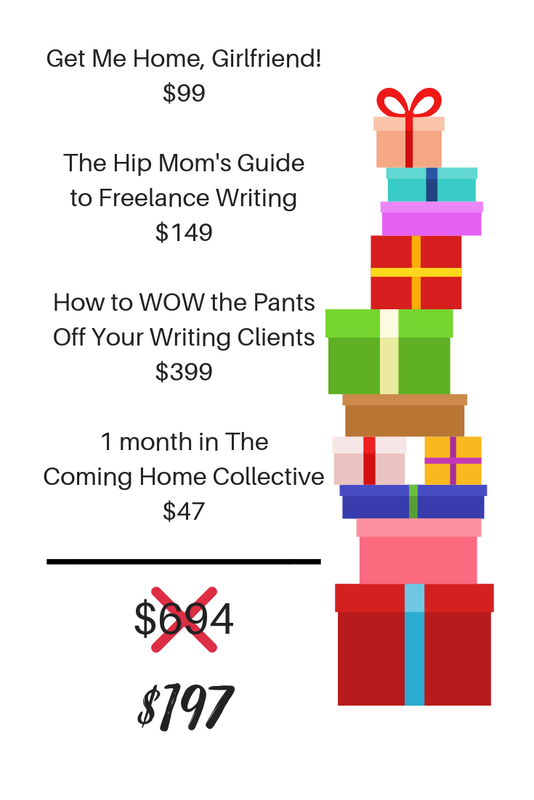 This 30-day self-paced course takes you from thinking about freelance writing to invoicing your first clients, and everything in between. In this 4-week program, you'll learn how to take your writing career to the next level with new writing skills, editing hacks, and a writing schedule that actually works for you and your life. “Taking Carrie’s freelance writing course was a wonderful experience from day one to day thirty. I had wanted to start a freelance writing career for a while now, but I honestly had no clue where to start. With Carrie’s wisdom and daily action steps within her lessons, I was set up for success. Her lessons were thoughtful and meaningful, and they forced you to push yourself as a freelance writer, but at the same time they were not overwhelming. I felt confident and comfortable with each lesson’s action step because each of Carrie’s lessons were encouraging and detailed. Carrie’s lessons will force you stop dreaming about writing for the blog/magazine/journal of your dreams, and take action so you will become a writer for the blog/magazine/journal of your dreams!